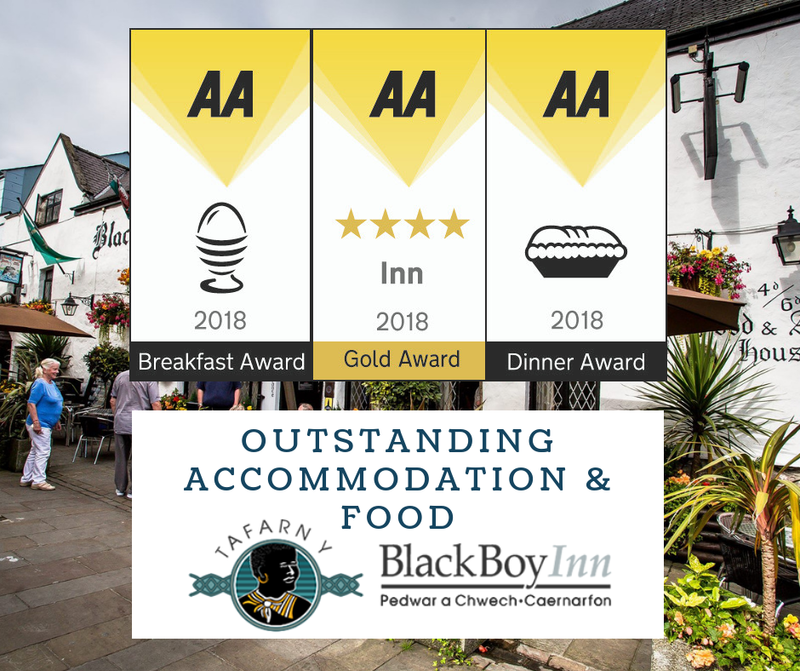 AA Presents GOLD Standard Award to the Black Boy Inn, Along with Additional Awards for Exceptional Breakfast & Dinner Respectively. We are absolutely delighted to announce that we have been presented with multiple awards from the AA in recognition of our high standard of accommodation, and food. Special thanks to the AA for the inspection and award. quality between the main house and Twr Du is consistent with a high quality finish. This visit sees the award of an AA Four Star Inn, with Gold Stars now awarded in reflection of the higher quality and standards experienced throughout. diverse market, quality of ingredients and very good skills were noted with an enjoyable meal taken. Breakfast Award made in reflection of the this. 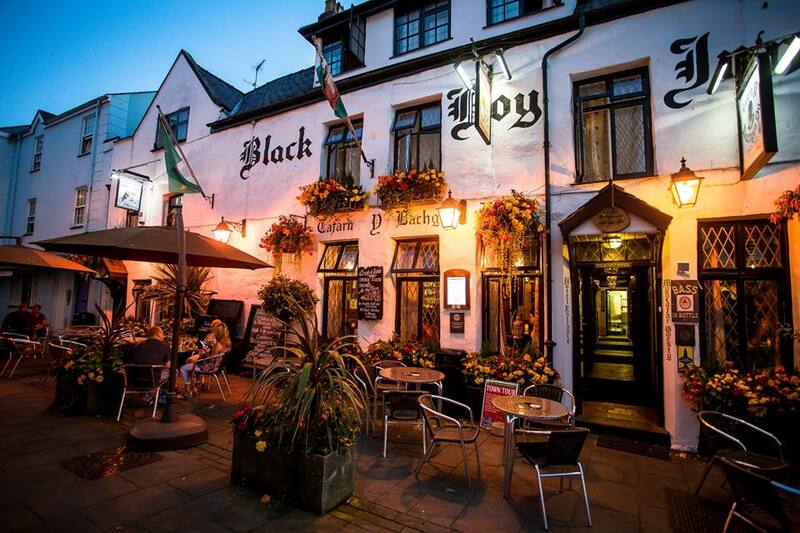 Here at the Black Boy Inn, we aim for the highest standards, offering the most advanced facilities while maintaining our traditional background. It’s fantastic to see that our guests recognise the hard work that our team put in to ensuring each and every one of them has the best experience possible. The AA is an extremely well respected agency and so praise from them is received with thanks.